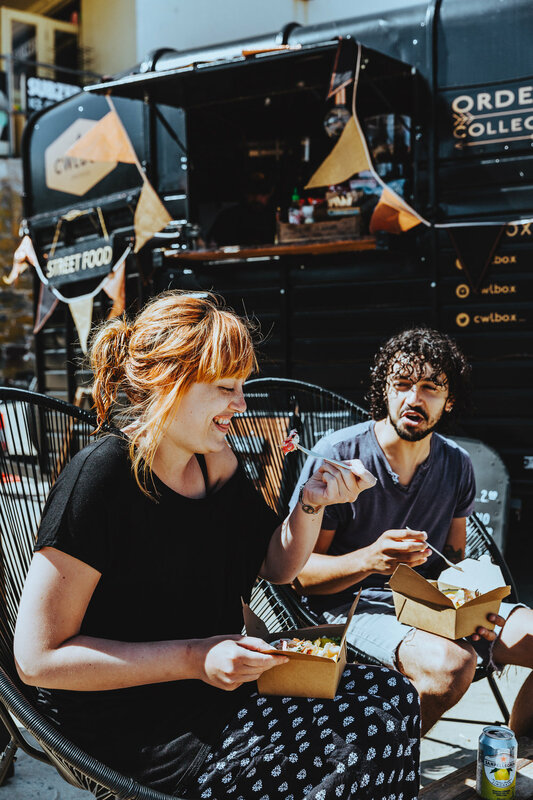 We're a group of Welsh & French friends with a shared love of seafood and locally sourced produce who have joined forces to bring you cŵlbox. Our cŵlbox is a 2001 Rice Horse Tralier, that we've lovingly converted to allow us to cook up a selection of tasty treats just for you. We are committed to serving the best seafood, local produce and wherever possible, award winning ingredients from cŵlbox. 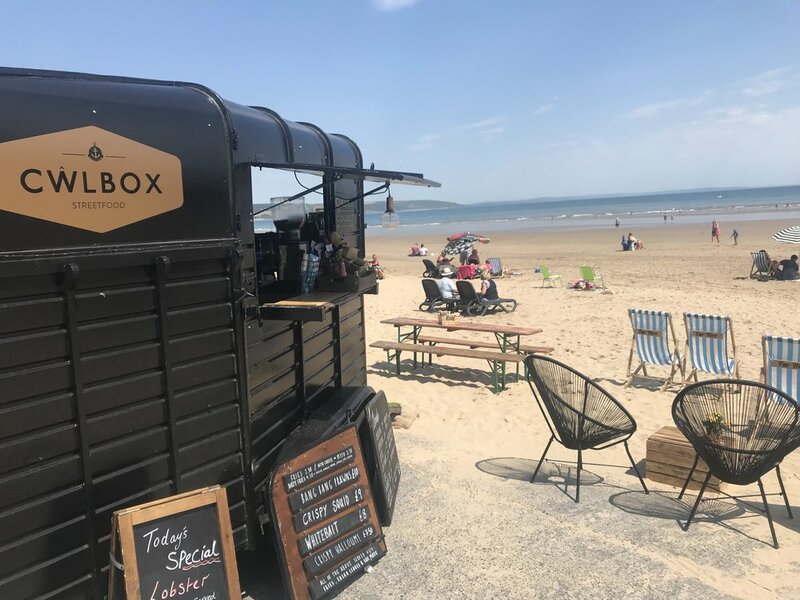 Come join us for breakfast, lunch or dinner on Saundersfoot beach! Tidal based, follow us on social media for updates. 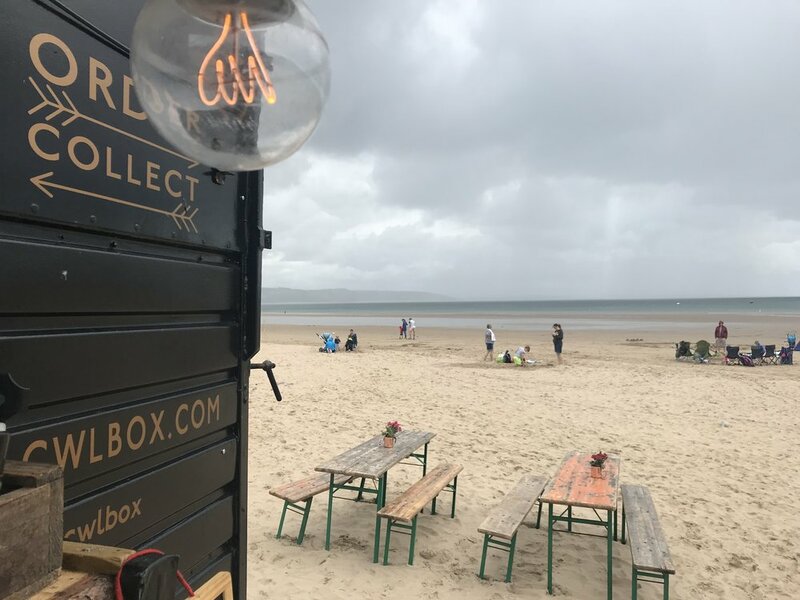 We can come along and provide our cŵlbox menu which includes fresh seafood, cŵl burgers, fries & drinks or if you want something specifically tailored to your event, eg Burgers, fries & local Ales or Prosecco & Fries, Coffee & Cakes let us know and we will do our best to make this happen. 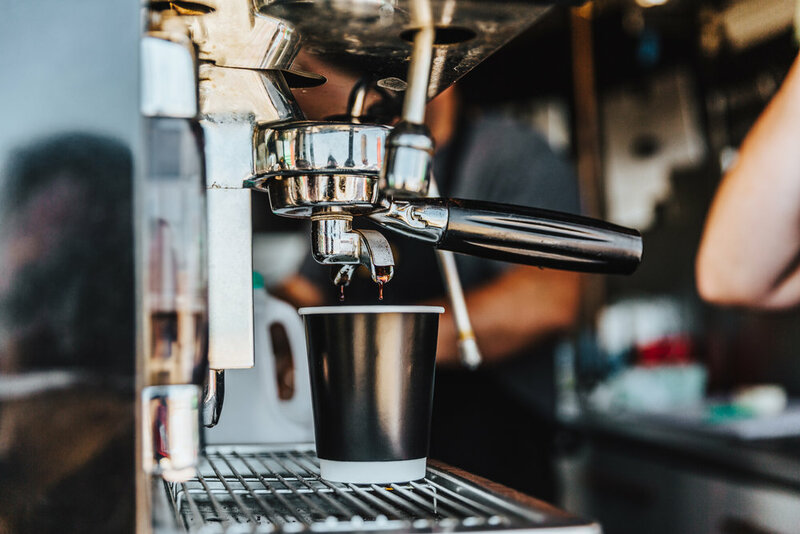 Prices vary depending on the size of your event so give us a call or drop us a line below & one of our team will get straight back to you!